A member of the Tlingit tribe of Southeast Alaska, Bill has been living with HIV since 1986 and has survived both cancer and severe depression. Today, he advocates for individuals battling these conditions. He serves on the community advisory board of defeatHIV, a research group run by the Fred Hutchinson Cancer Research Center, and is a community adviser for the Seattle Indian Health Board and the Urban Indian Health Institute. Bill has cited stigma as the biggest obstacle in fighting HIV in the Native community and has described knowing fellow Natives who, when they learned they were positive, were so ashamed and so afraid that their communities would find out that they avoided seeing doctors or taking medication. Having found hope through others who shared their HIV stories, he speaks out so that others may understand that they need not suffer alone or in silence. Diagnosed with HIV in 1985, Mitchell has devoted his life to caring for others living with the virus. After graduating from nursing school in 1990, Mitchell chose to work in the HIV inpatient unit at Charity Hospital in New Orleans when few wanted to care for those living with HIV. He also served in the hospital’s outpatient program and, later, as the nurse manager of the inpatient unit—until Hurricane Katrina hit. But the devastation didn’t destroy Mitchell’s passion for care. He continued to work in other New Orleans facilities, including FEMA clinics, and even volunteered in Ethiopia. Now a nurse practitioner, Mitchell has returned to University Medical Center’s HIV Outpatient Program and has won the HIV Program Outstanding Nurse Award and a Great 100 Nurses Award, among others, for his commitment to patients and his advocacy. 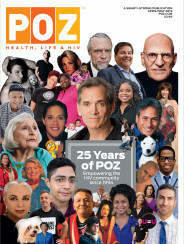 Mitchell works to break down stigma and to bond with those he treats through sharing his story and taking leadership roles in efforts to create a more positive health care experience for all people living with HIV. Diagnosed with HIV in 1990, Graham has not only made advocacy for those living with HIV his life’s work—he has also made the needs of other long-term survivors a priority. Previously at the Cascade AIDS Project in Portland, Oregon, he’s now the director of the HIV/AIDS Care and Treatment Program with the Bureau of HIV/AIDS at the New York City Department of Health and Mental Hygiene—which is also the largest Ryan White Program Part A Program in the United States. In his role at the department, Graham has been a leading force in improving care and services for long-term survivors and people over age 50 living with HIV. In 2017, Graham was chosen to serve as chair of the Communities Advocating Emergency AIDS Relief Coalition, where he leads efforts to provide people living with HIV with proper resources and care. 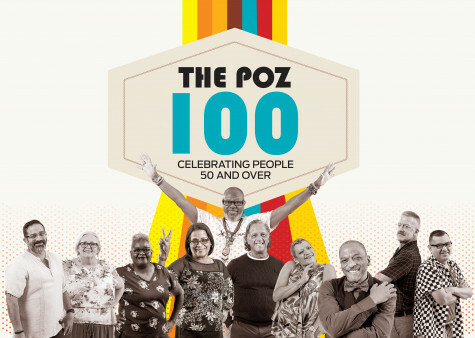 Danny was previously honored in the 2016 POZ 100, which celebrated advocates in the South. Since then, he has continued his work as the statewide outreach and prevention coordinator at ARCare HIV Special Services Program, where he’s one of the first points of contact for newly diagnosed people. He hosts forums at schools, churches and health fairs to provide HIV prevention and testing and to combat stigma. He facilitates peer-to-peer empowerment groups as part of the Positive Empowerment Project and produces a bimonthly empowerment newsletter. 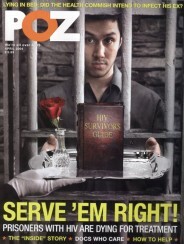 Danny serves on the Arkansas HIV Planning Group and is organizing the second annual Arkansas Empowerment Conference. When he’s not spending quality time with his wife, children and grandchildren, he’s likely on the road, driving to where he’s needed next. Michelle had no idea what her journey would look like when she was diagnosed with HIV six years ago. She had been in a medically induced coma for almost five weeks and was suffering from depression. But one day, she decided she wanted to help people like her living with HIV. Her life changed in June 2017 when she attended her first HIV conference. She currently volunteers with the HIV Modernization Movement, a group of individuals seeking to update Indiana’s criminal HIV laws. Michelle is also the PWN-USA Indiana state lead, which makes her a key conduit to the HIV community in her state and the national office. Deborah has raised money for AIDS services for the past 30 years. When she and her business partners saw how AIDS-related illnesses were killing many gay waiters and other employees in the 1980s, they decided to take action by supporting organizations like Mama’s Kitchen, which delivers meals to those with AIDS and cancer. As co-owner of The Mission restaurants, Deborah has proudly supported the San Diego LGBT Community Center’s annual Dining Out for Life fundraising event since it began in 2006. Her three establishments have regularly donated 25 percent of proceeds on one special day of dining for the center’s HIV programs. In 2008, her fundraising became personal when she was diagnosed with AIDS. To help fight stigma, she shared her story with The San Diego Union-Tribune last year. When Patrice was diagnosed with AIDS in 1995 and given three months to live, she was referred to the infectious disease clinic at Johns Hopkins Hospital. Today, the Johns Hopkins University School of Medicine, Division of Infectious Diseases, employs Patrice as an HIV community program coordinator and a peer health advocate for the Project LINK Adherence Program at one of its local clinics. Her job includes providing support to newly diagnosed patients and helping adolescents transition to adult care. Patrice also coordinates and co-facilitates education and positive self-management program groups. In addition, she is staff liaison for the clinic’s patient consumer advisory board. She is a former HIV community speaker for Gilead Sciences and even participated in its 2008 theater production Beyond the Diagnosis, which included three plays about people living with HIV. Since his own diagnosis in 2003, Ángel, a native Puerto Rican, has dedicated his life to improving the lives of those on the island living with HIV. He believes the best way to achieve this is to have people with the virus help shape the policies that affect their health and to find ways to improve the quality of the care they receive. To that end, Ángel serves as a member of AVAC (AIDS Vaccine Advocacy Coalition) and the AIDS Clinical Trials Group Community Scientific Subcommittee as the AIDS Malignancy Consortium Community Representative and on the University of Puerto Rico AIDS Clinical Trials Unit Community Advisory Board. He also serves on the Continuous Quality Improvement Committee of the Ryan White Part C Program and volunteers at AARP. To ensure that islanders living with the virus are included in the conversations taking place on the mainland, Ángel does his best to represent Puerto Rico at as many national and international conferences as he can. Matthew made it his mission to challenge HIV stigma and prevent new infections following his diagnosis 20 years ago. In 1999, he joined Gay Men Fighting AIDS (GMFA), where he worked on and developed campaigns on HIV prevention; he became CEO of GMFA in 2013. He is currently executive director of NAM, a charity that supports people living with HIV by providing up-to-date information on HIV/AIDS, chiefly through its website, aidsmap.com. For his use of Twitter in engaging around HIV issues, Matthew was named Social CEO of the Year in 2017. He believes that HIV stigma remains a public health crisis and that informing people that effective treatment prevents transmission ought to be a public health duty. Franceina uses her powerful voice to speak for those who might otherwise go unheard, in particular people in rural areas of her native South Carolina, where she’s known as the “Condom Drop Queen” for distributing thousands of condoms each month. Her passion for fighting for the rights of people living with HIV is boundless. In addition to working as a linkage-to-care specialist at Palmetto AIDS Life Support Services, she’s a member of P.O.S.I.T.I.V.E. Voices, PWN-USA, WISE Women and the Sero Project—just to name a few. Franceina has worked to ensure that everyone in her state who is living with HIV has access to care and treatment, no matter how far they may live from support services. Since testing positive in 1995, Mark has worked to improve the lives of those living with HIV—and to prevent transmission. He’s the office manager and the coordinator for the 3MV prevention program at Brothers United (BU), where he discusses cultural and societal factors in HIV and STI transmission with a group of men ages 25 and older. To those in the community, “Uncle Mark” is on hand to help those most vulnerable to HIV, especially Black men and women. He mentors those newly diagnosed with HIV, offering a friendly ear, a ride to treatment or even somewhere to sleep. This year, Mark led BU’s Positive Organizing Project and helped to organize the first Indiana HIV Advocacy Day at the statehouse. He also helped to form the HIV Modernization Movement Steering Committee. Throughout his advocacy, Mark makes it a priority to include the experiences and perspectives of people of color living with HIV. Since 2001, Olga has been a member of the Ohio AIDS Coalition, where she has engaged in HIV outreach and presented at dozens of healing workshops and World AIDS Day events. This outreach has led her to work at numerous other local and national advocacy organizations, including PWN-USA, AIDS Alliance, HIV is Not a Crime, the Ohio Ryan White Care Advisory Board, the AIDS Healthcare Foundation and many others. In 2009, Olga went back to school and became a licensed social worker to further strengthen her outreach and activism. Some of her latest work involves attending and organizing rallies and press conferences and visiting legislators in Washington, DC, on behalf of the HIV-positive community to help stop the repeal of the Affordable Care Act.